Dieblast Systems deflashing compounds are compatable with all the worlds leading manufacturers of shotblasting equipment, and while many machine producers recommend Dieblast for their company, Dieblast Systems remain an independent supplier of blast media to the industry. Dieblast Systems is the brand name for a range of high performance shotblasting compounds manufactured from engineering polymers and polymer alloys. 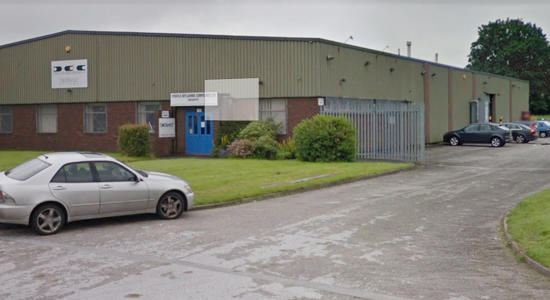 While the company’s principal activity is to provide the plastics and rubber industry with an independent development and manufacturing facility for the production of deflashing blast media, it also supplies specialist shotblast compounds to the electronic, medical and aerospace industries. Dieblast Systems products are manufactured exclusively by Profile Deflashing Compounds Limited in England and available throughout the world via a range of partner companies who hold specialist knowledge of our industry. The rapid development of cryogenic shotblasting has placed Dieblast Systems as a leader in this field. With Partner Company’s located worldwide, Dieblast products can be found in over 30 different countries. Many multi-national companies in the rubber industry require the same high quality cryogenic deflashing systems at each of their different manufacturing locations. Dieblast Systems are pleased to provide not only the specialist products to achieve this goal but the supply side logistics and technical service demanded in today’s market. P.D.C. / Dieblast are proud of the reputation that our products and company have gained in the past 25 years and if we can provide any mission statement it is that and we do not intend to compromise our reputation in the next 25 years.